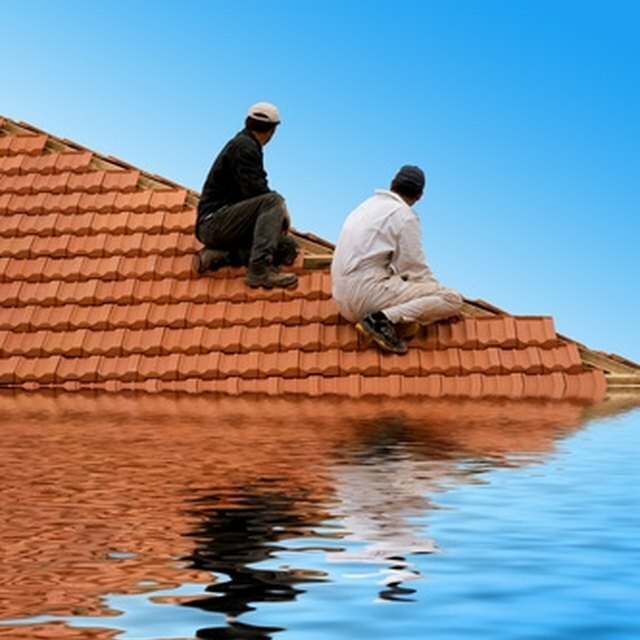 If your home experiences water damage and you're planning on involving your insurance company, the company will want to have their own professional perform an estimate. However, if you are plan on fixing everything yourself, you're going to want to survey the damage and get the most accurate estimate possible. Cleaning costs to fix damaged rugs or carpeting will also need to be considered. Only then will you be able to tell what you're in for in the way of repairing damage and replacing items. Calculate the cost you will need to clean carpeting, [rugs](https://society6com/rugs?utm_source=SFGHG&utm_medium=referral&utm_campaign=8775) and other types of material damaged by water. If your carpeting needs to be cleaned, for example, measure your carpeting to find the exact length and width. Multiply these two numbers to find the square footage. Contact a carpet or rug cleaning business in your area and find out how much it would cost (including equipment and man-hours) to clean a carpet or rug of your size. If you're renting the equipment yourself and are cleaning the area on your own, factor in equipment rental charges. Go around your house and make two lists of items -- one for things that need to be repaired and one for things that need to be completely replaced. Something like floorboard damage could potentially be repairable, but if water damage ruined a shelf with books and videos, those items can be replaced. Start going through your two lists and finding prices for the items included. The "Things to be Replaced" list will be the easier of the two -- if water damage ruined a mattress, for example, you can go onto the Internet and find the price for a new version of a comparable mattress. For the "Things to be Repaired" list, start calling contractors who specialize in that area and see if they can give you an estimate on repairing water damage. For example, if water damage has ruined the roof of your home, call a roofer. This number needs to include both the cost of materials used in repair as well as the cost for a professional repair (if you're not performing the task yourself). Find out if its cheaper to replace anything you had previously marked "Things to be Repaired" If it costs $500 to fix a table damaged by water, for example, but the table only cost $200 brand new, it would obviously be better to replace the table outright than to try and repair it. Add up your estimated costs in each column. When you get a "Things to be Repaired" number and a "Things to be Replaced" number, add those two numbers together to find the overall estimated cost of getting your home back to normal after water damage.